One of the things I always want to do with online maps is rotate them – I am used to that with real, physical maps. 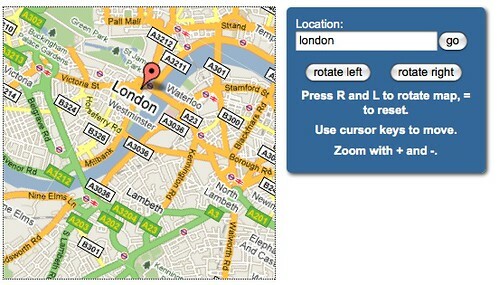 As physical maps become a lot more clever these days (for example have you seen the zoomable map?) it is time we can do this with the online ones, too. Read more about the implementation and some of the things that need fixing in the original blog post about map rotation. The idea is cool, but moving doesn’t work correctly with a rotated map.